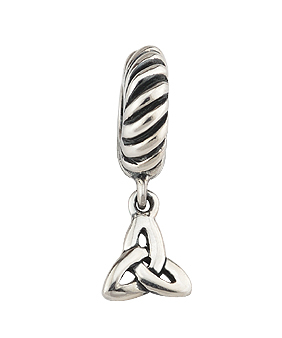 This celtic bracelet sterling bead in sterling silver is hallmarked in the assay office in Dublin. Make your own Irish bracelet! The Trinty Knot's modern interpretation is the Love knot. The interlaced unbroken line symbolises man's spiritual growth, eternal life and never ending love.